The Supervisor and Assistant Supervisor participate in a wide range of conferences and meetings. They are also invited to contribute editorials to newspapers, magazines and journals. You can find their speeches and articles, as well as our speaking engagements policy, in this section. For the second year, the EDPS met with civil society organisations to discuss the state of data protection and privacy in the EU. 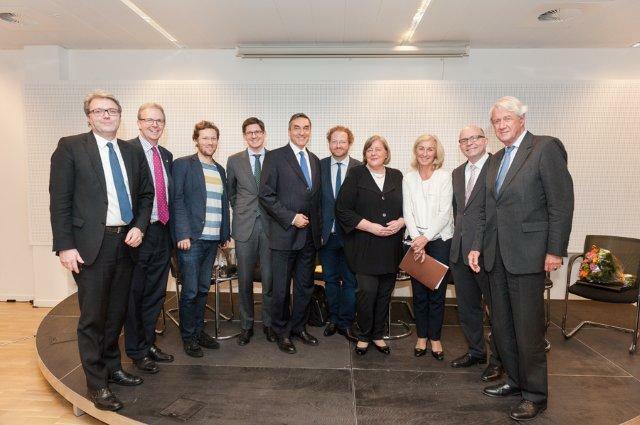 On the agenda this year was the implementation of the GDPR and the directive on data protection rules for the police and criminal justice, the review of the ePrivacy Directive, and developments in case law in the last 12 months, notably Schrems v. Data Protection Commissioner and the proposed Privacy Shield agreement. The meeting took place at the EDPS premises in Brussels from 9.30am-12.30pm. If you have any questions, please write to us at edps@edps.europa.eu with '2016 EDPS- Civil Society Summit' in the subject line, and we will send you further details about the event. The videos of the event are available here: video 1, video 2. The EDPS stand will be at the European Parliament as part of the EU institutions' Europe Day celebrations. Located on the first floor of the ASP building, next to meeting room 3G, EDPS staff will be on hand to answer questions about your privacy rights and how to protect your personal information. Free goodies and information will be on offer, as well as fun and interactive activities for both children and adults to enjoy. You will also have a chance to win one of 20 USB sticks, simply by taking part in our fun, simple quiz! Whether shopping online, using a smartphone or applying for jobs, data protection affects us all, so be sure to visit us at our stand to find out more! 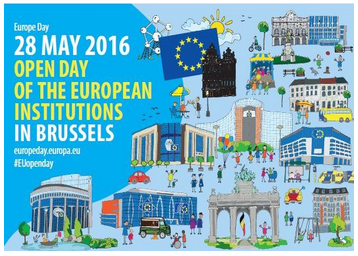 For more information visit the Europe Day 2016 website. 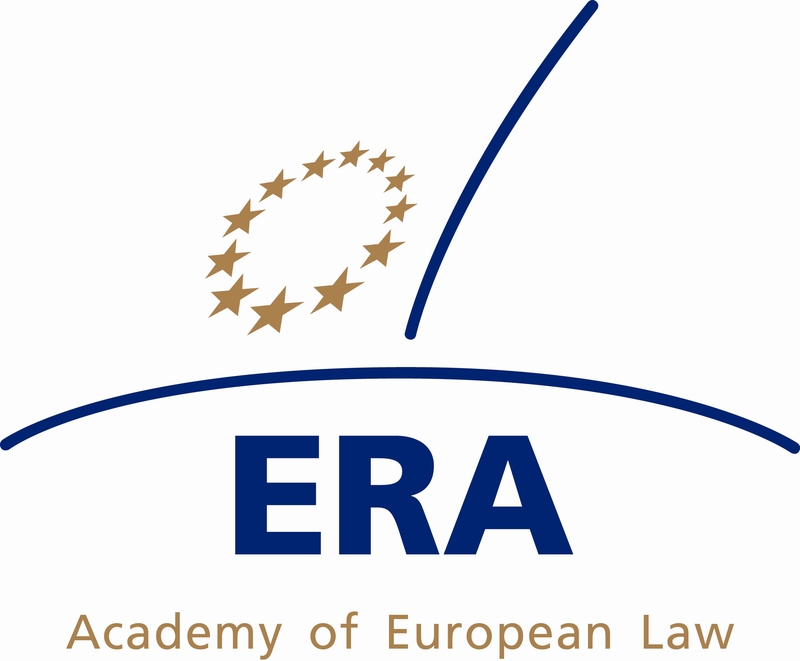 On 7-8 April 2016, the Academy of European Law (ERA) will be organising in Brussels its Annual Conference on European Data Protection Law with the support and participation of the EDPS. With the General Data Protection Regulation (GDPR) about to be passed, it is time to assess the concrete innovations it will introduce and to focus on how to implement it in practice. The conference aims at providing legal practitioners and data protection specialists with the necessary guidance to prepare for GDPR implementation and to realise its full potential. The conference will also include an update on the EU-US Privacy Shield. The EDPS and the International Committee of the Red Cross will host the fifth workshop on data protection as part of good governance in international organisations. Taking place in Geneva, the workshop will be a forum to discuss data protection within international organisations and for officials from the EU institutions and bodies and international organisations to share best practice. 47 countries of the Council of Europe as well as European institutions, agencies and bodies will celebrate the tenth annual European Data Protection Day. This date marks the anniversary of the Council of Europe's Convention 108 on the protection of personal information, the first legally binding international law in the field of data protection. The EDPS will mark the date with a series of events, including a conference co-hosted by the European Parliament and the EDPS for EU officials on the EU data protection reform (webstreaming available here from 10am) and a lunch conference on Smart Sharing. Also taking place will be the annual CPDP conference, featuring various presentations by EDPS experts as well as a panel, hosted by the EDPS, on Data, Dignity and Technology - Exploring Digital Ethics. This panel will be followed in the evening by a live transatlantic discussion on big data, organised by the EDPS, the Council of Europe and the National Cyber Security Alliance. Register here for free to watch the discussion live online. Technological development implies bigger opportunities but also bigger challenges when it comes to data protection. In their daily lives, people constantly share information, whether they are using a tablet, searching online or communicating through social media. However, are they really in control of the personal data they are sharing? Do they know how their personal information is processed by others? While data subjects are knowingly sharing their data online, they may be unaware of the long-term effects of their activities and the e-reputation they are building. At this exclusive lunchtime conference for EU institution trainees, the EDPS will give you an insight into the world of data protection and provide the tools to help you stay in control of your personal information. 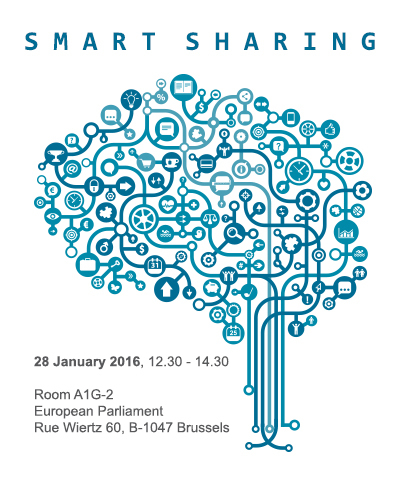 The conference will be webstreamed and everyone can get involved in the debate through Twitter #DataProtectionDay . For more information consult the conference programme. The EDPS, as a premier sponsor of the CPDP conference, is delighted to once again be supporting this event, which EDPS Giovanni Buttarelli has described as the epicentre for creative ideas, sharp analysis and fierce debate on privacy and data protection. 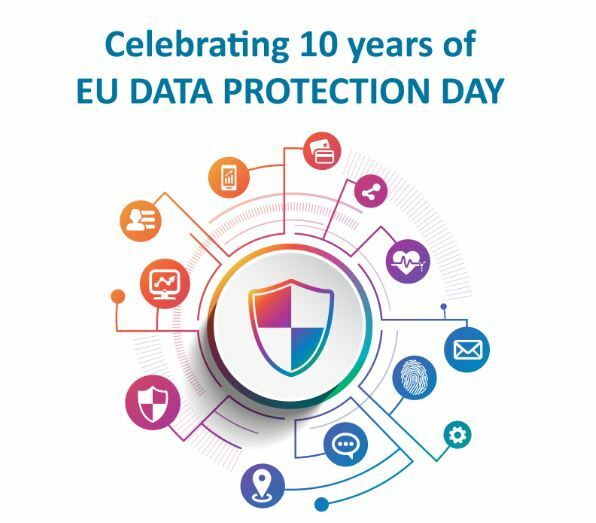 The EDPS and Assistant Supervisor, as well as EDPS staff, will take part in various panels and activities during the three-day conference, which this year coincides with the tenth annual European Data Protection Day on 28 January. To mark the occasion, the EDPS plans to launch an ethics advisory group as part of a panel on Data, Dignity and Technology. The group will be charged with assessing the ethical implications of how personal information is defined and used in the big data world. This panel will be followed in the evening by a live transatlantic discussion on big data, organised by the EDPS, the Council of Europe and the National Cyber Security Alliance. Register here to watch the discussion live online. The EDPS, as supervisor of the EU institutions, will once again deliver the closing speech at the conference, where he will focus on 2016 as a landmark year for data protection, not only for the EU institutions, but for all individuals. From 26 to 29 October 2015, the Dutch Data Protection Authority will host the 37th International Privacy Conference. The Conference will take place at the Passenger Terminal Amsterdam. It aims to bring together data protection and privacy commissioners from around the world to discuss how we can build bridges between each of our data protection and privacy regimes. For information on attending the opening-night reception, to be hosted by IAPP at the National Maritime Museum on 27 October 2015, visit the IAPP website. The EDPS and the European Academy of Law will hold a workshop in Brussels, entitled Competition Rebooted: Enforcement and Personal Data in Digital Markets. The workshop will focus on a range of topics related to market analysis, personal data and privacy and competition law enforcement. It aims to provide competition law practitioners with an insight into new developments in the field and to deepen understanding of the growing role of data in competition law. For more information and to register visit the ERA website. The IPEN initiative will hold its second workshop, hosted by KU Leuven. The workshop will include discussion on topics such as privacy engineering in education and privacy in standardisation, with presentations from European Data Protection Supervisor Giovanni Buttarelli and other experts. For more information about IPEN and to register, please see the IPEN Workshop 2015 event page. The European Data Protection Supervisor has invited civil society groups to a meeting on the data protection reform package, discussions on which are ongoing. The invitation is extended to all the signatories of a recent letter calling on the EU to ensure 'stronger, unified data protection rules'. The discussion, which will take place on 27 May 2015 in Brussels, will be filmed for publication on our website shortly afterwards, as part of the EDPS's commitment to understanding better stakeholder views, and to dialogue with experts from all sectors on how to ensure data flows are regulated in the interest of the individual. From 18 to 20 May 2015, the UK's Information Commissioner's Office will host the European Conference of Data Protection Authorities, which will take place in Manchester. The Conference will focus on delivering rights for individuals, with a clear and practical call to action. The aim should be to ensure that individuals are able to easily exercise their rights. Registration for the conference will close on 10 April 2015. The event is open to members of accredited data protection authorities and observers, and will be an opportunity for delegates to address subjects of common interest and help advance the fundamental right to data protection. 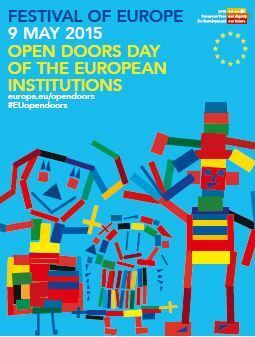 The EU institutions in Brussels will open their doors to the public to mark Europe Day, the anniversary of the Schuman Declaration. As part of this annual celebration of European peace and unity, the EDPS warmly invites you to visit our stand, located in the European Parliament (Brussels, Place du Luxembourg, first floor ASP building, in front of meeting room 1G). From 10am-4pm colleagues from the EDPS will be on hand to answer questions about your privacy rights and how to protect your personal information. There will be lots of free goodies and information available, as well as fun and interactive activities for both adults and children to enjoy. You will also have a chance to win one of 20 USB sticks simply by taking part in our fun quiz!Whether shopping online, using a smartphone or applying for jobs, data protection affects us all, so come and chat to us about your rights and concerns. In a ranking of importance to people’s daily lives, the smartphone surged to the top, falling below only the Internet and personal hygiene. Given the sensitive data stored on smartphones, from pictures and contacts information to bank details, PINs, and medical information, special care should be given to securing them against any harm, both online (data theft) and offline (stolen). At this exclusive conference, the EDPS will outline risks to your personal data and how you can better protect your data on your smart devices. The event will be streamed live and everyone can get involved in the conversation with the Supervisors and panellists through Twitter #EDPD2015. CPDP offers the cutting edge in legal, regulatory, academic and technological development in privacy and data protection. Within an atmosphere of independence and mutual respect, CPDP gathers academics, lawyers, practitioners, policy-makers, computer scientists and civil society from all over the world to exchange ideas and discuss the latest emerging issues and trends. This unique multidisciplinary formula has served to make CPDP one of the leading data protection and privacy conferences in Europe and around the world. Organised with the support of the EDPS, this year's panels will focus on key issues that cover all current debates: the data protection reform in the EU: European and Global developments; mobility (mobile technologies, wearable technologies, border surveillance); EU-US developments concerning the regulation of government surveillance; e-health; love and lust in the digital age; internet governance and privacy; and much, much more. The recent rulings of the European Court of Justice concerning data retention and search engines (Google Spain) illustrate the increasing relevance of the fundamental rights to privacy and to the protection of personal data in the context of new information services and data transfers in a global world. Against the background of rapid technological developments and the growing reality of ubiquitous surveillance of personal data by private and public entities alike, the European Union is striving for new rules to effectively protect personal data also in the 21st century. Andrea Voβhoff, the German Federal Commissioner for Data Protection and Freedom of Information, and Peter Hustinx, the European Data Protection Supervisor, have the pleasure to invite high-level representatives of all institutional and political actors involved to debate outstanding issues and necessary steps to be taken to bring the reform of EU data protection law to a timely and successful conclusion.